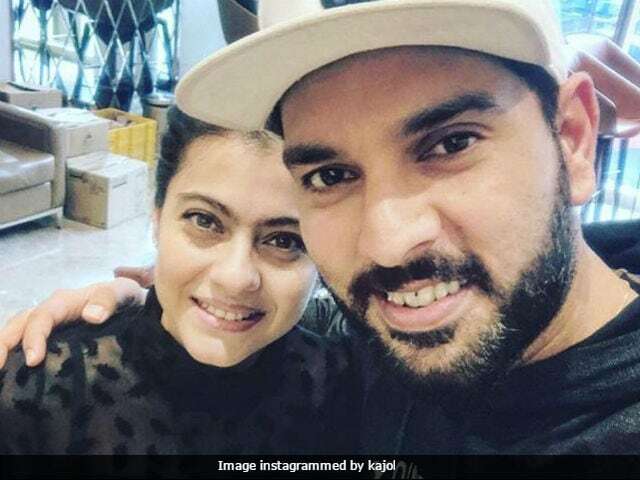 Actress Kajol delighted everyone by sharing a picture on Instagram featuring her with cricketer Yuvraj Singh. The 43-year-old actress, whose early morning flight was delayed, was glad to have bumped into the cricketer at the airport. In the picture, Yuvraj can be seen embracing Kajol as they pose for a selfie. "@yuvisofficial waiting for an early morning supremely delayed flight was never so much fun!," wrote Kajol. Yuvraj Singh also posted the same picture on his Instagram account, saying that his 'day was made' as he met his 'favourite actor.' The picture posted by Kajol garnered over 40,000 likes in just an hour. @yuvisofficial waiting for an early morning supremely delayed flight was never so much fun! Kajol is quite active on social media and she often delights her fans and followers by sharing wonderful pictures. On Wednesday, Kajol posted a picture featuring Goddess Durga. 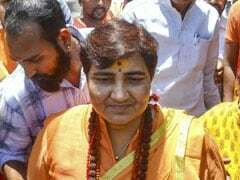 The picture posted by her was clicked at the Durgotsava last year. "Last year she looked like this ! Power crackling off her. Wonder what she will look like this year," she wrote. Kajol is the daughter of actress Tanuja and her filmmaker Shomu Mukherjee. Kajol made her acting debut in 1992 with Bekhudi. She is best known for her role in films like Dilwale Dulhania Le Jayenge, Kuch Kuch Hota Hai, Dushman, Fanaa, Pyaar Kiya To Darna Kya, Ishq and Gupt: The Hidden Truth. Kajol last featured in Tamil film Velaiilla Pattadhari 2 or VIP, co-starring Dhanush, Amala Paul, Vivek, Saranya Ponvannan and Samuthirakani. Kajol's last Bollywood venture was Rohit Shetty's Dilwale, co-starring Shah Rukh Khan, Varun Dhawan and Kriti Sanon.